In your wp-admin area, the plugin will add a dedicated menu called “Lottery”. All your lotteries are conveniently found under “All Lotteries”. Here you can edit lotteries that are not yet active, access the Overview window for those that are and create new lotteries. As of version 2.0, lotteries are no longer listed in a table like posts or pages but instead they are listed like your themes under the Appearance menu. Titles on black background indicates lotteries that are enabled while titles on white background indicates deactivated / draft lotteries. 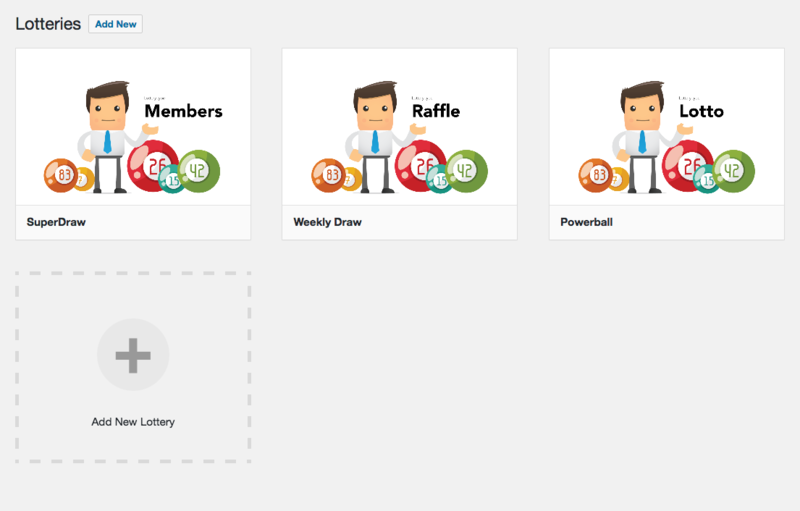 Lotteries are shown just like themes in WordPress. 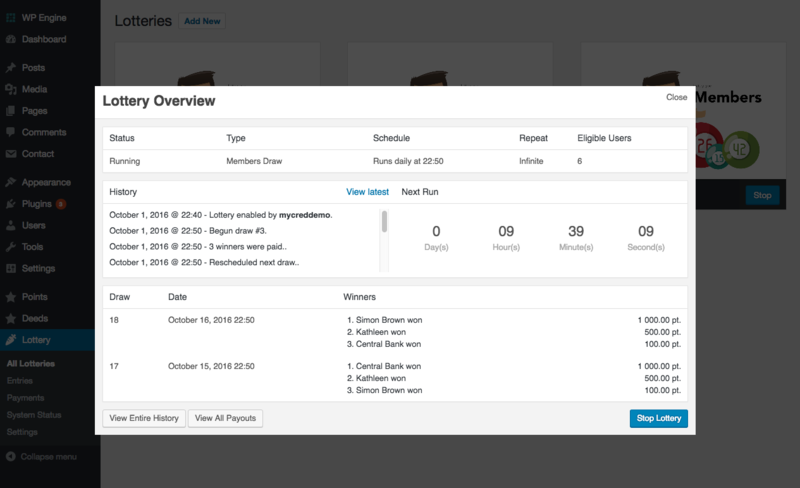 You can select to edit lotteries or open an "Overview" modal for current details for running lotteries. Active lotteries gives you access to the Lottery overview where you can keep track of the lotteries status and history. As of version 2.0, all lottery related events are logged in a dedicated history section. This includes when you activate / deactivate a lottery or when the lottery runs. This history is separate from the draw history which keeps track of each draw and the results of that draw.